The Broncos’ loss to the Colts appears caused some changes, though not as much as one might think. The loss allowed the 7-0 Chiefs to take the lead in the AFC West, but only just. Meanwhile, the Colts’ win puts the screws to the the rest of the AFC South. The Cowboys win over the Eagles boosts them quite a ways over the rest of the NFC East, the Bengals can hit cruise control. 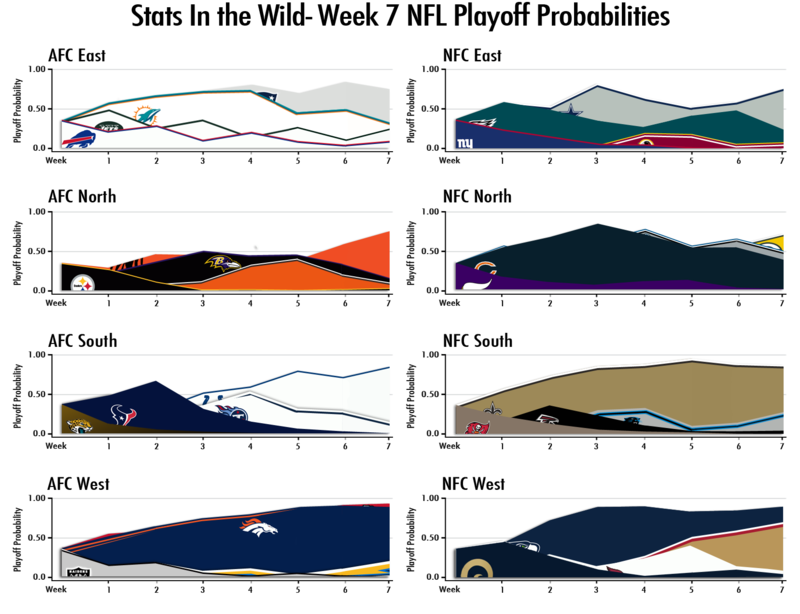 Thankfully, the NFC North and West exist, otherwise, their would be no drama whatsoever. Posted on October 25, 2013, in NFL. Bookmark the permalink. Leave a comment.